If you’re easily entertained, you’re going to have a hard time with Try Not To Smile. You should also love it. If you’re able to keep a relatively straight face, even in the midst of hilarity, then you may have a shot at the leaderboard. 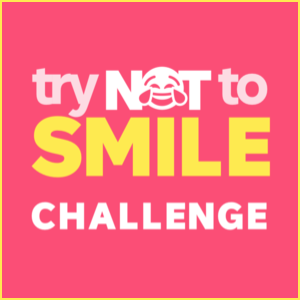 Try Not To Smile is a new, fun mobile game with a simple premise: the app shows you videos on a loop while monitoring your face, until you finally give in and crack a smile. The app shows videos in categories like “Dank,” “Fails,” and “Aww,” trying to get you to slip up. Many of the videos are quick, funny clips—the type of content you may have seen on Vine before that app shut down. 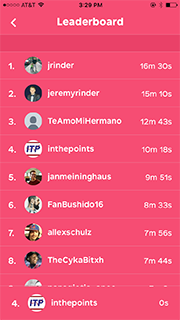 Try Not To Smile has “gamified” the app by adding a leader board, which displays the list of names who have held in their laughter for the longest amount of time. Even if you’re usually able to keep a straight face, playing the game can be difficult. Once someone tells you not to laugh, that’s the first thing your mind wants you to do. The clips on the app are so goofy that it’s tough not to laugh at them. Unfortunately, there’s not a ton of content on the app now, so some clips repeat if you’re able to withstand laughing at them. Also, you have to login to the app via Twitter, which isn’t the most convenient option. 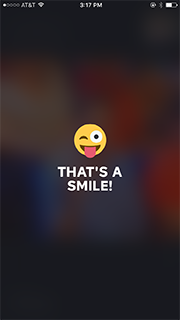 Still, Try Not To Smile is a fun, cute game that could provide some entertainment when you’re bored.